Going to Southeast Asia? My latest article for the spring 2016 issue of Canadian Traveller magazine details some need to know etiquette tips for Angkor Wat and other areas of this predominantly Buddhist region. … what to do — and not do — with your hands and feet? … how to interact with a monk? … what to be aware of with other people’s heads (such as those of the cute kids here)? … how to observe the Buddhist alms giving ceremony — tak bat — a highlight of visiting Luang Prabang, Laos? 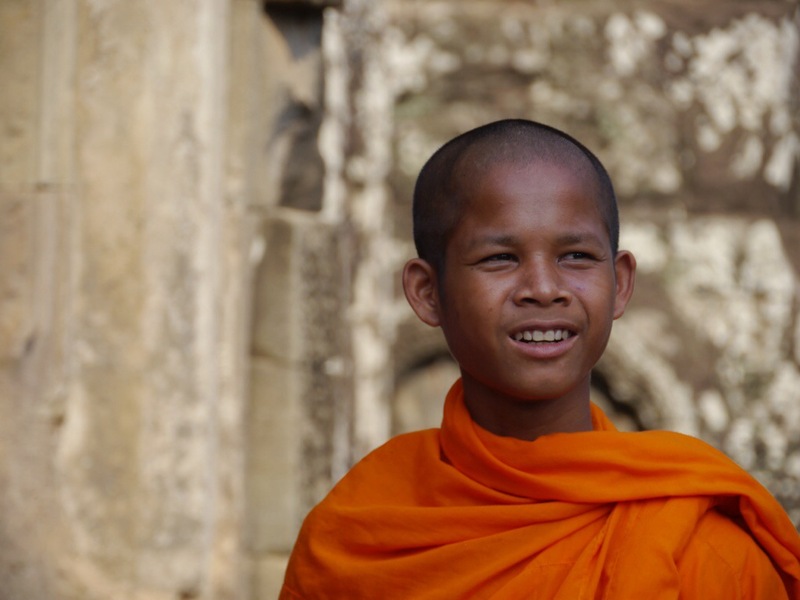 … what to wear, despite the heat, at Cambodia’s Angkor Wat? It’s on newsstands now, but you can read my latest article, What do you mean, I can’t wear my tanktop at Angkor Wat? right here. When you travel, you need to adapt to the place you’re in. None of us ever want to offend our hosts, but sometimes we do so unwittingly. In places that are different than home, we don’t always know all the etiquette rules about what is acceptable and what isn’t. 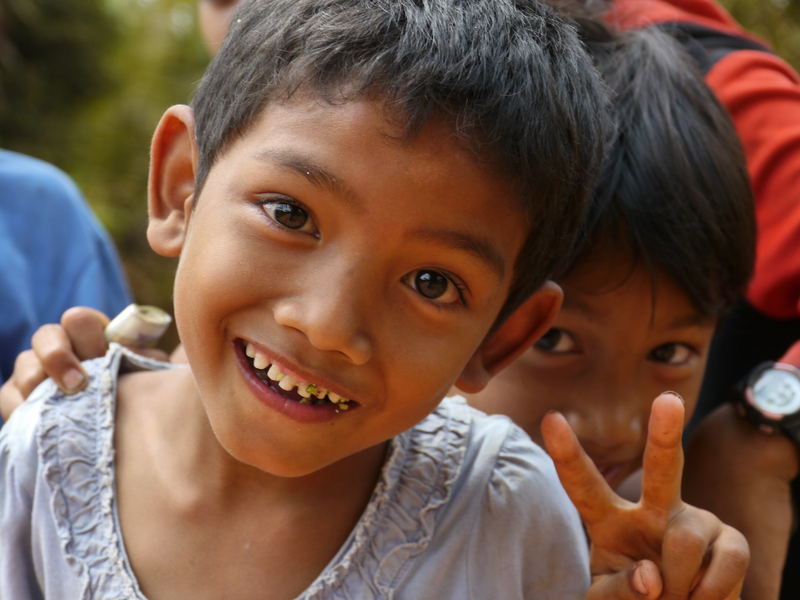 My article gives some easy to remember tips so you’ll make no faux pas in Southeast Asia. plus, it just makes everything nicer for everyone! What are your tips for visiting Southeast Asia? Yes, there definitely needs to be more responsible tourism! I think we should be very careful visiting places that offer elephant rides or hugging tigers. Those places are often rife with animal abuse, not to say there aren’t good places to visit! We just need to do more research! Agreed, I can’t see any circumstance where hugging a tiger or riding on an elephant is good for the animals. Thanks for reading! Thanks for raising awareness :) There needs to be more discussion about these issues. 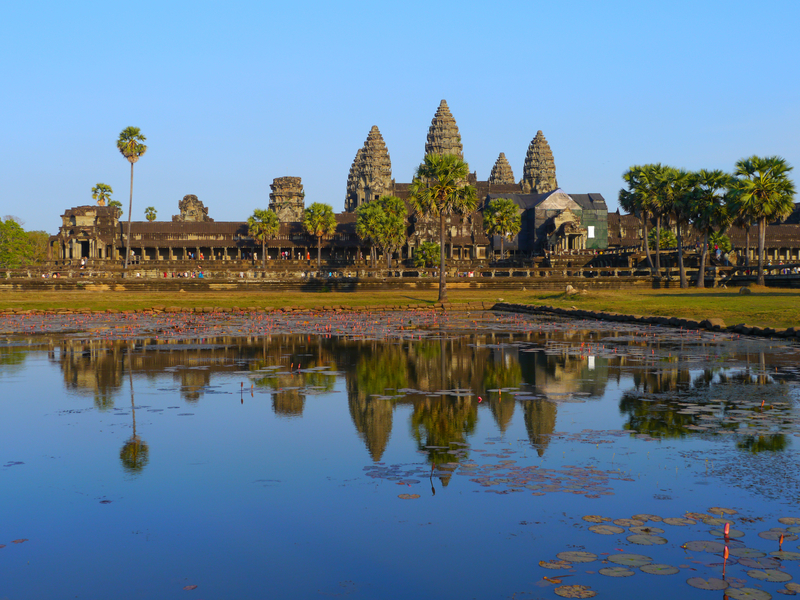 Very often people do not realize that Angkor Wat are Temples, an area of Worship. Exactly. They think it is just a tourist attraction and forget that for many people it is a holy place. Same for the tak bat ceremony in Luang Prabang, Laos — it’s a religious practice, not a tourist attraction. I’ve said to people “would you do that in your church at home?”. well said . People take pictures of Cremations in India and I am amazed at the total lack of thought for those who are mourning the death of their loved ones. Wow – I’ve not seen that …. I think it is just an awareness issue … Many people just don’t realize that even though a religious practice is taking place outdoors, it doesn’t mean it is any less sacred. I’m hoping that by sharing this information people can become more aware and therefore more respectful. yes well posted. thank you. I feel for most it is a Zoo and then comment on pictures in their drawing rooms in Europe and USA.